Hi, I am interested in your 2018 Riverside White Water listed on Autotrader. I'd like to get more information about this vehicle and confirm its availability. 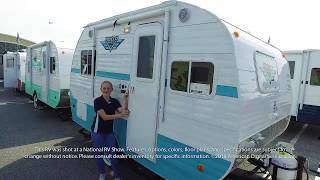 2018 RIVERSIDE RV 157 RETRO TRAVEL TRAILER. SOL LIGHT YOU CAN PULL IT WITH YOUR BUGGY. CALL 855-235-0291 TODAY! ALL YOU NEED TO CREATE GREAT FAMILY MEMORIES. LET GO MAKE SO MEMORIES.